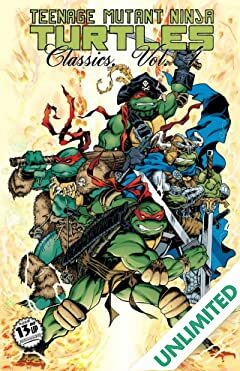 The original stories of the TEENAGE MUTANT NINJA TURTLES come roaring back to shelves—in all-new full color—with the line of Teenage Mutant Ninja Turtles Classics! 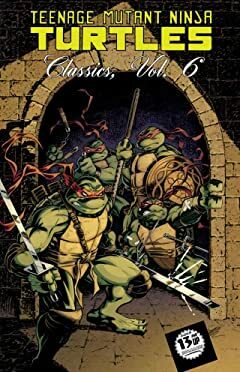 Volume 1 contains Mirage Studios issue #13, along with a collection of stories from the Shell Shock trade paperback, including "New York Ninja," "Junkman," "O Deed," "A Splinter in the Eye of God?," "Meanwhile... 1,000,000 B.C.," and more! 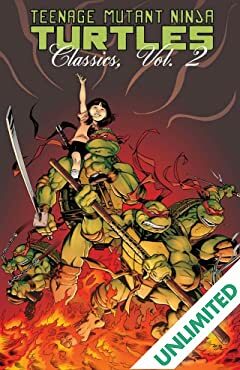 122 pages! 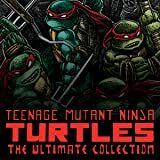 Classic animated TMNT action is collected here in this re-presentation of two fan-favorite cartoon adaptations! 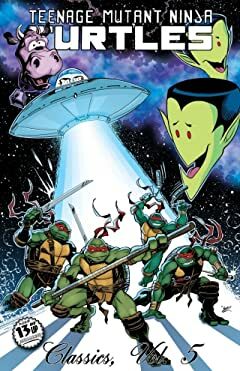 In both 'The Return of Shredder Parts 1-2' and 'The Incredible Shrinking Turtles Parts 1-2' read along as Shredder comes back to Earth from Dimension X and attempts to exact his revenge upon the hard-backed heroes. 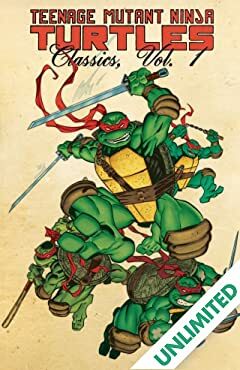 Rediscover the underground roots of Teenage Mutant Ninja Turtles! 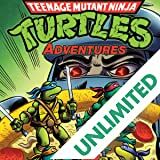 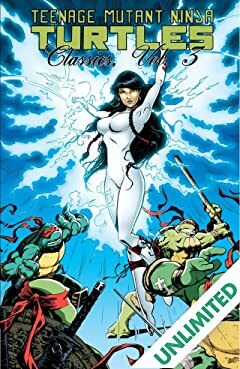 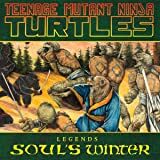 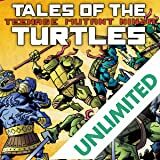 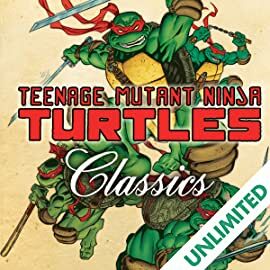 With hundreds of pages of mutated-martial arts action in each volume, the Ultimate Collections are perfect for fans to relive the glorious days of the Turtles' origins as well as an excellent place for new readers to see where the TMNT phenomena began.